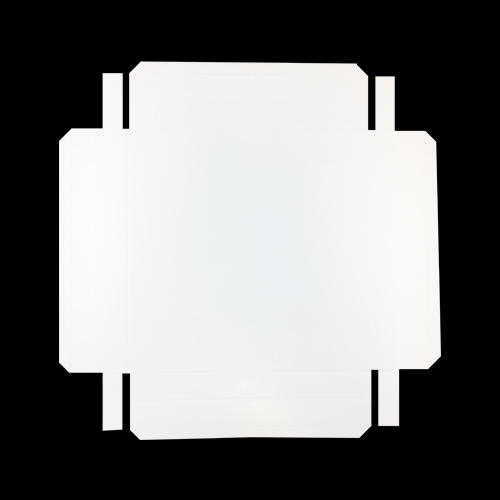 These White 180mm Square Presentation Boxes are supplied flat, ready to be folded into shape, stuck and used. 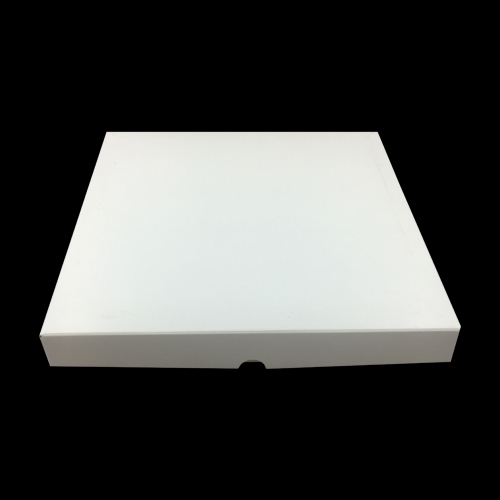 They are two part presentation boxes and the prices are per box (base and lid) These boxes are available in 5 sizes. See other items in this category. The boxes are die cut and creased from the best Smooth White Folding Box board 410 Micron. They are very easy to finish and when complete they form a strong rigid presentation box. The finished box has a depth of approx 17 mm.